Whether it's the much anticipated FOMC meeting this week where it is expected that interest rates will rise a further 0.25%, or if Theresa May decides to trigger article 50, it's a case of watch this space, writes Ian Slattery. US stocks finished the week on a more positive note after a slow start. The US employment report helped rally the markets after a week where US equities showed the first signs of fatigue since mid-January. Overall stocks remain in positive territory this year. European Central Bank president Mario Draghi, at a press conference last week, stated that deflation concerns in the Eurozone had "largely disappeared". ECB inflation forecasts were raised from 1.3% to 1.7% in 2017. At the annual meeting of National People's Congress, China forecasted a slightly slower growth rate for 2017 of 6.5% down from last year's growth rate of 6.7%, which was the lowest in 25 years. The global index fell by 1% during the week, this was mainly hindered by a strong euro currency. Gold and silver both slipped again this week, but have had a positive start to the year overall. The US 10-year bond price moved lower again this week, on the back of the increased rate hike expectations, with the yield rising to 2.57%. The yield on the equivalent German Bund followed suit, closing at 0.48% from 0.35% the week previous. Wednesday 15th March: The FOMC will meet again on Tuesday and Wednesday with the general consensus that interest rates will rise a further 0.25%. Following the two day meeting, the US will update its economic projections including GDP and inflation. Wednesday 15th March: The Bank of England's Monetary Policy Committee will meet Wednesday to decide on future changes to interest rates which have remained at historically low levels. All eyes will also be on Theresa May this week as she could trigger Article 50 of Brexit. Thursday 16th March: It is expected that US president, Donald Trump, will send his first budget to congress and it is thought the new administration will look to increase military spending by $54bn. 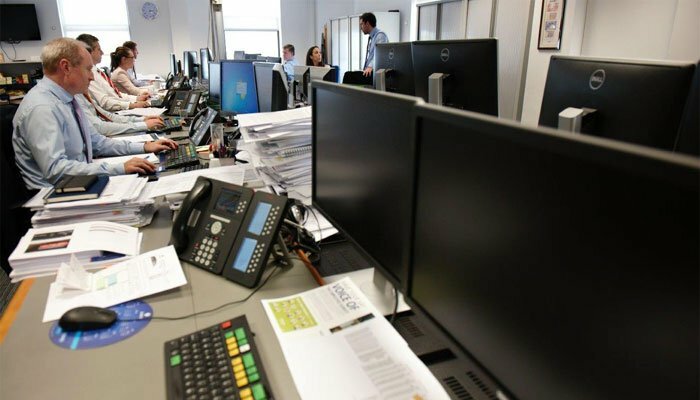 The team at Zurich Investments is a long established and highly experienced team of investment managers who manage approximately €20.8bn in investments of which pension assets amount to €9.9bn. Find out more about Zurich Life's funds and investments here.